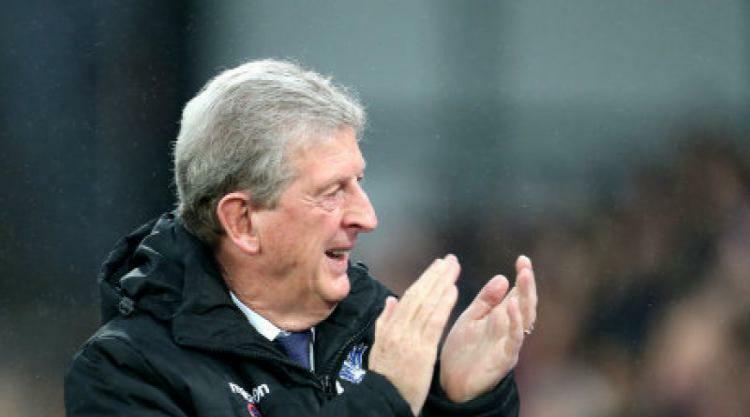 Roy Hodgson has vowed Crystal Palace will avoid derby day "hype" in Tuesday's Premier League clash at rivals Brighton. Manager Hodgson insisted the Eagles fully appreciate the fervour around the Brighton-Palace rivalry - but vowed his side will not let their hearts rule their heads at the Amex Stadium. Hodgson believes the intensity of derby games is over-sold in English football, but insisted his players know full well the importance to Palace supporters. "As far as derbies are concerned, the guys hear enough from the fans and externally around all that," said Hodgson. "So it's important as a manager and coach that you don't add to that hype. "Players have to play more with their head than their heart, so you don't want to have players playing too much with their heart and losing that focus. "Brighton and ourselves are both football teams, who don't base our game on intimidation or a gung-ho style of football. "Derby games here are much hyped, you couldn't turn on the TV last week without hearing constantly about Arsenal and Tottenham, but once the game starts, it's all what you'd expect. "Every club has its classic derbies, but this is regarded as the most important for Palace fans. "All managers, coaches, players understand there's a fierce rivalry where fans care that extra bit about the result. We know our fans think this is the most important one. "We've got to be prepared we leave nothing on the pitch at the end of the game. That doesn't change from one game to the next." Hodgson has continued to downplay the significance of Palace's last-gasp 2-1 home win over Stoke on Saturday, but admitted the Eagles could now do with breaking their duck on the road. The 70-year-old former England boss maintains that Palace can stay calm amid the derby pressure, despite casting his mind back to his first derby clash as Inter Milan manager, back in 1995. "I remember my first Milan derby where we had two players suspended, and I was suspended for the game too," said Hodgson. "I wasn't allowed to see the game from the touchline, for the only time in my career. "I didn't lose my cool I just made a cynical remark. We were winning at Lazio the week before, the referee added on about eight minutes of injury time, and I said to the fourth official 'why don't we just play until they equalise'. "Winning away from home would be good, we haven't even taken a point away from home. "That doesn't concern me as such because we aren't playing and working now as we were at the start of the season, we've improved. "I think the results will come and it would be very helpful if they could come this week. "In an ideal week we'd win all three games, but then of course people would be talking about us for the Champions League, wouldn't they?"